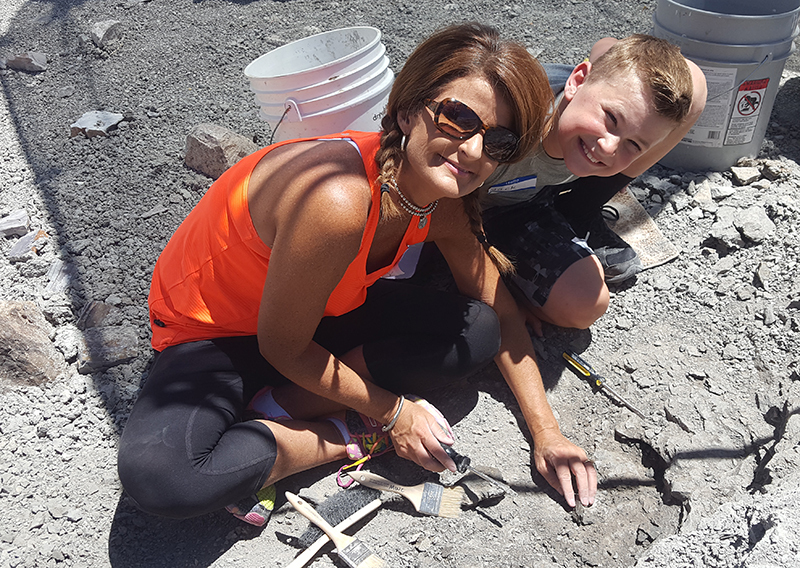 Great for beginners of all ages, the Mygatt-Moore expeditions offer an introduction to paleontology field work. Get a little dirty digging for Jurassic dinosaurs. Our paleontologists will make sure you have all the training and tools you need. Fossil bones of Apatosaurus and Allosaurus are common in the quarry. This trip ends with a guided tour of the Paleo Lab at Dinosaur Journey. Expeditioners should dress for working outdoors in summer: bring a wide-brimmed hat, sturdy shoes or hiking boots, sunscreen, and bug spray. Water and Gatorade will be provided on site along with a picnic lunch. No hiking is required on this expedition, but participants should expect to be outside, in the heat and bugs, working on open, rocky ground. We will provide some shade tarps. Please download and return the 2019 Digs Registration-Medical Forms. Minimum age: 5 • Ages 16 and under must be accompanied by a paying adult. BOGO: Buy one full price adult ticket, get one child ticket for $90!